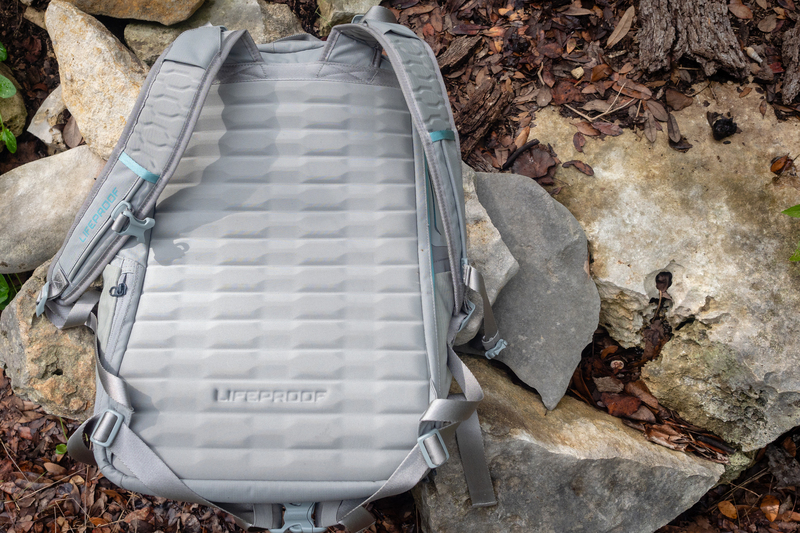 Best known for adventure-proof phone cases, LifeProof expands into backpacks with a well-organized urban solution. LifeProof gained notoriety through phone cases designed to guard against, well, life. The brand’s dust-, drop-, and snow-resistant phone cases were amongst the first to offer protection against full submersion. And recently, the Fort Collins, Colorado-based brand branched into backpacks that promise to protect everyday items against an active life. 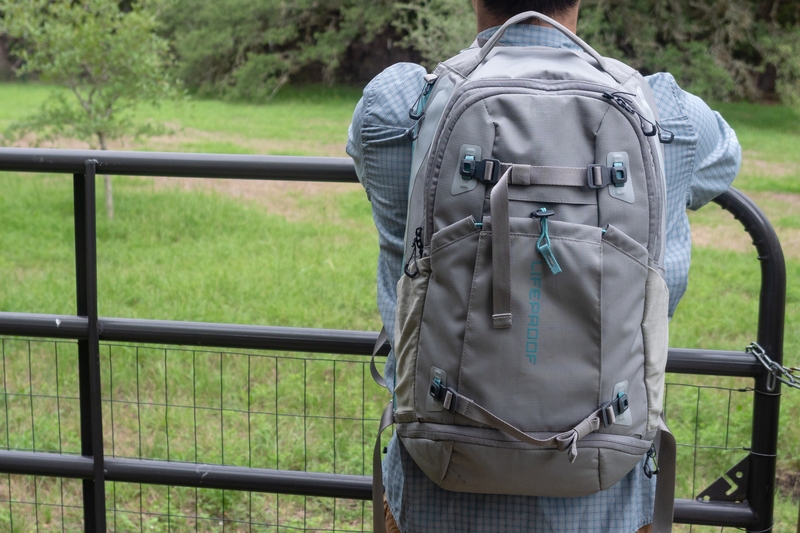 Released in spring 2018, the $180 Squamish XL 32L Backpack is the largest offering. I tested it as a daily workhorse, schlepping the electronics and gear required to be a mobile gear and adventure correspondent. In short: The LifeProof Squamish XL 32L Backpack is an organizational powerhouse for daily urban use. An abundance of storage areas and pockets serve the mobile professional well, housing computers, electronics, and other items necessary for a productive day on the streets. And while its water-resistant zippers and fabric aid in preserving sensitive components, the pack isn’t the best for exploits that lie outside of the city. 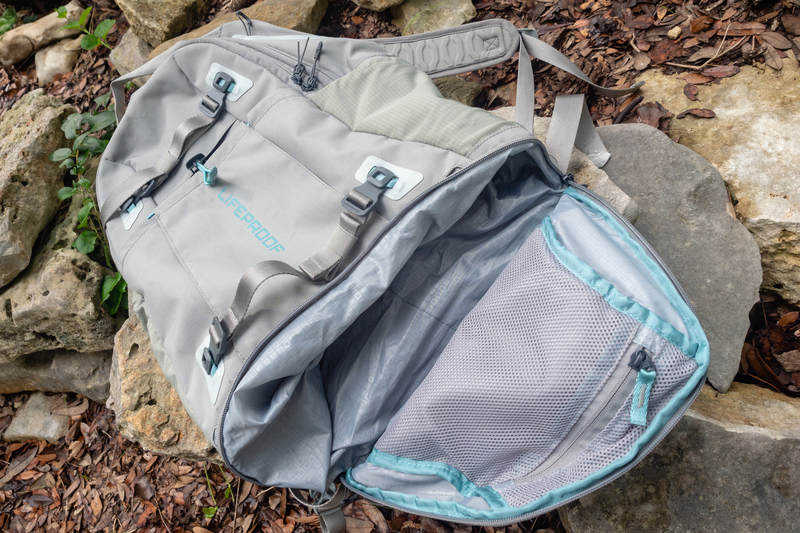 The real strong suit of the Squamish XL 32L Backpack is its abundant storage options. In addition to the main compartment, it sports tech-friendly pockets to organize the gadgetry and other items necessary for the itinerant professional. Although roomy, the primary compartment sits undivided other than the hydration bladder sleeve. However, the remainder of the pack bristles with storage options. The back panel’s padded computer sleeve swallowed my 15-inch laptop and 10-inch tablet. It’s well-cushioned on the front and back, but the bottom is less densely padded. My computer has a hardshell case, and I could hear it hit the floor if I didn’t carefully place it. On that front, I wished for the same density of padding throughout. On each side of the Squamish rests a weather-sealed, fleece-lined “tech pocket.” Weather-resistant zippers and protective waterproof flaps keep sensitive electronics dry. So I used these pockets for memory cards, external drives, and other smaller electronics. Check out the organization options below. On the plus side, the laptop and tech pockets kept water out during a four-day conference in Minneapolis, where I walked 2 miles in daily rain to and from the convention center. Unfortunately, the main and front compartment zippers leaked during downpours. The front section could be a small backpack in itself. There’s a flat back pocket, a zipped pocket, a main compartment at the front, and a forward-facing panel with pockets for pens, wallets, business cards, etc. The main front compartment served as my “office.” Anything work-related wound up in this easily accessed area. On the pack’s bottom, a zipped storage area expands upward into the pack’s main compartment. On top, the lid opens downward and has a mesh zipped pocket. This configuration prevents opening the bottom compartment unless the bag is lying on its back panel. But I found it perfect for keeping sweaty gym clothes from contaminating anything else. An expandable stash pocket graces the pack’s face. And while it was large enough for a medium-bulk layer, it’s too small for a bicycle helmet. LifeProof also provides two removable front straps that work well for items like yoga mats and other lashable accessories. On each side, a stretch mesh pocket will tightly hold a water bottle. There’s also a small, nearly hidden zipped side-stash pocket, where I stowed my wallet. Similar to other packs of this volume and (urban) purpose, the Squamish XL 32L Backpack lacks any rigid suspension components. The foam in the back panel and shoulder straps provides perfect density for both comfort and support. Loads up to 20 pounds remained comfortable during commuting by foot and bicycle. Plus, the back panel has a large surface area for a pack of this volume. This, along with the shoulder strap load lifters and removable sternum strap, added stability to loads. The hip belt comprises webbing only, so it wasn’t functional in directing load. But it did keep the pack from swaying laterally. 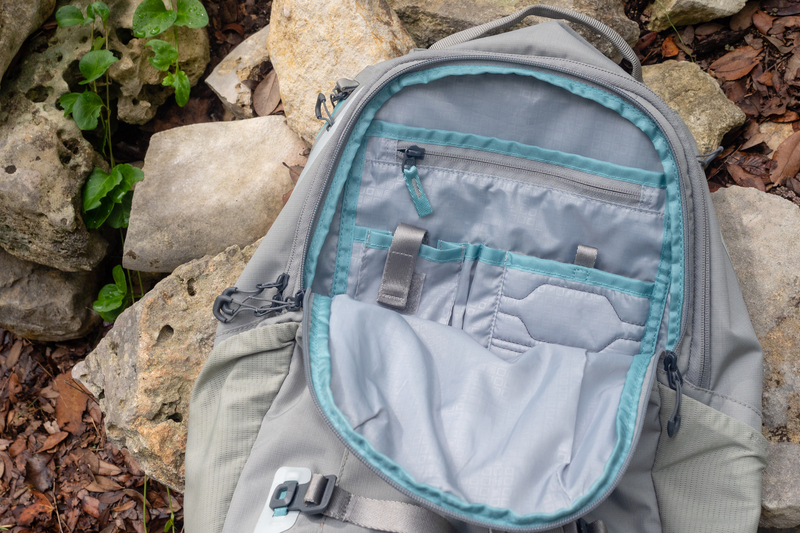 This pack fared well over the testing period during a typical work week, but use during outdoor adventures left some things to be desired. Although the water-resistant Cordura fabric coped well against daily urban use, it felt too flimsy for hard outdoor use. That same feeling extended to the smallish zipper pulls — one of the zipper pull loops broke. Plus, while helpful for the 9-to-5er, all the organizational prowess also yields an elaborate design that doesn’t lend itself well to outdoor use. If outdoor pursuits are a must, I’d recommend the Squamish XL 32L Backpack only for quick day hikes when traveling with a single pack. The LifeProof Squamish XL 32L Backpack is a large-volume and organized urban workhorse. It provides plenty of storage options for all goods necessary for commuting, producing, and post-work activities. Still, it’s not quite a fit for regular, urban cycling commuters. Omissions that would expand the appeal for bicycle users would include a stash pocket large enough to hold a helmet and a low clip-on point for a taillight. Although the pack protected electronics against the elements, it isn’t durable enough for hard outdoor use. The Squamish XL 32L Backpack can work as a daypack in a pinch, but there are options better suited for hard outdoor use — although these often sacrifice organization. 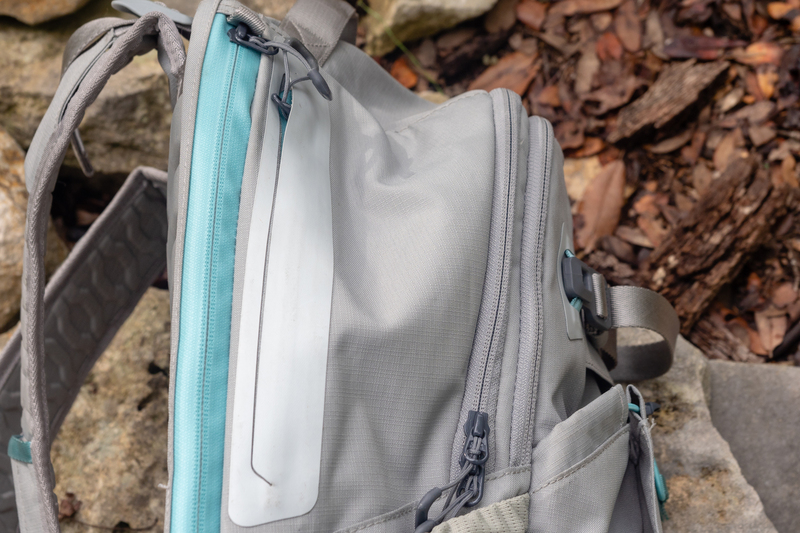 However, for those seeking a comfortable pack with enough volume to hold all the necessities for work or school — and basic extracurriculars — LifeProof’s $180 Squamish XL 32L offers both space and organization to keep things in order. Seiji Ishii is an adventure journalist that blurs the lines between work and play, writing about his climbing, two-wheeled and on-foot adventures, and the gear involved. He is also an AMGA Certified Single Pitch Instructor and an ACSM certified personal trainer, specializing in climbers and motocross/supercross athletes. He lives in the woods with his wife, daughter, and a small herd of pets in Wimberley, Texas.